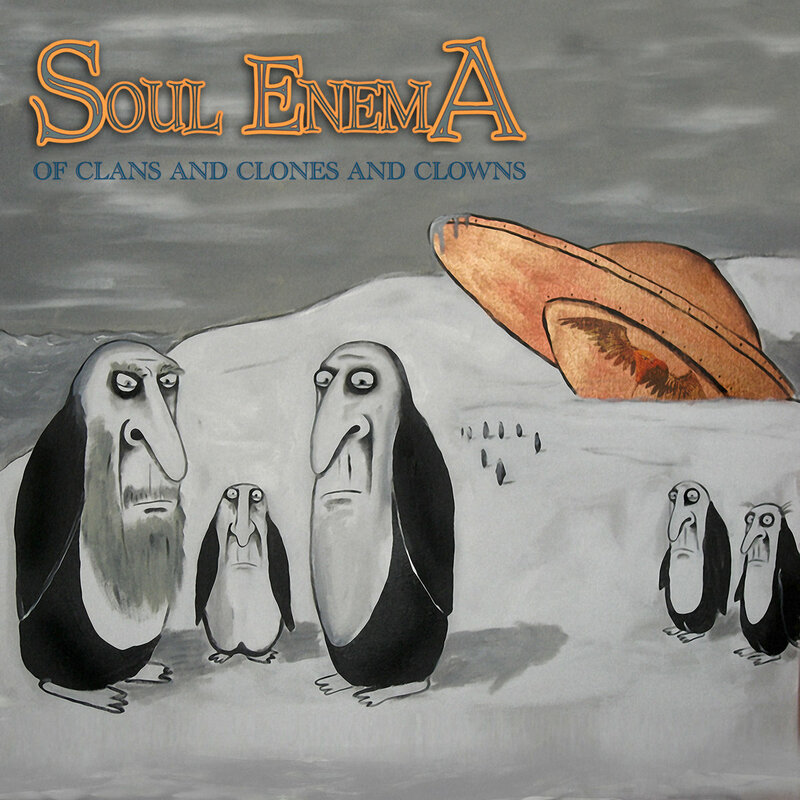 Despite being born back in the early 2000s (2001, to be more precise), Soul Enema is somehow only on its second full-length album with “Of Clans and Clones and Clowns,” and considering the talent on display here, hopefully a third will follow in less than a decade. With a little bit of everything, from keyboards to metal to jazz, “Of Clans and Clones and Clonws” is a prog metal fan’s dream come true, and will almost certainly be in the running for the top albums released this year! To help that claim, Soul Enema have brought in a few established names as guest contributors, including former Orphaned Land guitarist Yossi Sassi, and prog veteran Arjen Lucassen. The album morphs and merges across a ridiculous number of styles, both between songs but more importantly during songs. Everything on the disc is a constantly evolving journey. Even when the instruments and sub-genres are on a roller coaster ride, the end result is less “schizophrenic” and more “highly varied.” Its quite a feat to make your flute part fit with your ethnic wind instrument solo and then also with your ‘70s keyboard sound, but Soul Enema manages all that and more. With jazz flutes, ’70s prog keyboards, and melody, large swathes of this sophomore outing sound like everything-nothing you heard. Yes, it does feel like it’s been there for quite a long time, but the longer you think about it, it makes you realise that Soul Enema are nothing like any of the prog heralds. A huge contribution to that is the vocal of Not Gruman; she is not really a typical female voice that you are accustomed to hear in prog today. Parts of the opening “Omon Ra” in particular really bring to mind the retro-meets-metal aspects of some of the genre’s top records. On a similar note, those bombastic, organ-style keyboards that exude the ’70s prog feel suffuse the release from start to finish. Keeping the sound well-rounded, there’s ethnic tunes to be found here, while the flutes in front of the guitar riffs on “Breaking the Waves” very much gives a Nightwish feel. “Eternal Child” features a guest spot by Arjen Lucassen from Ayreon. It opens with a touching piano line, with Gruman delivering her arguably most passionate singing. On the whole the album is more upbeat and fun than the typical metal offering, and it practically demands multiple listens. I haven’t been this sucked into a prog metal release for a long time now, and the more I listen to “Of Clans and Clones and Clowns,” the more it grabs me every time.